(Atlanta, GA) Optimizer® InsertTM MKS is a new proprietary liquid nutrient product providing a better source of magnesium, potassium and sulfur when plant demand is highest. Marketed exclusively by United Turf Alliance members and dealer partners, Optimizer Insert MKS incorporates technology allowing nutrient bioavailability to turfgrass. Good for the turf and for the crew, Optimizer Insert MKS promotes more rapid recovery from aerification and verticutting , while avoiding the heavy labor associated with applying dry Sul-Po-Mag products. Optimizer Insert MKS can be applied through irrigation systems or with a ground sprayer followed by irrigation. The proprietary “Insert” technology allows the nutrients to stay bioavailable once in the soil profile. Optimizer Insert MKS is labeled for application at a rate of 5 to 10 gallons per acre depending on plant demand. It is available in 2 x 2.5-gallon cases or in a 265-gallon one-way shuttle. Always read and follow label instructions. 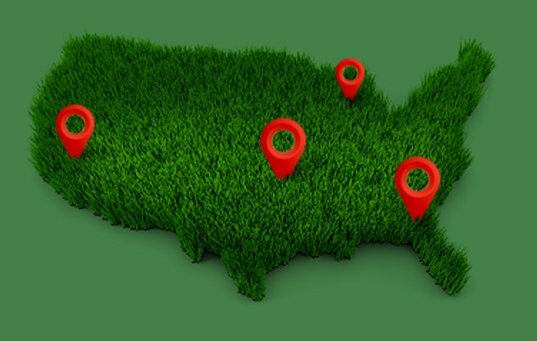 Incorporated in 2005, United Turf Alliance markets leading edge turf protection products under the ArmorTech® and Optimizer brand names through its members and dealer partners. The alliance directs its efforts toward discriminating golf course superintendents and other turfgrass professionals who value relationships based on industry and product knowledge combined with excellent customer service.